It is vital for businesses to upgrade their traditional websites with enhancements that will turn it into a responsive design that is compatible with all types of Internet accessing devices. We are a dynamic Website Design Agency, that employs a team of experienced and talented designers and developers who constantly develop their skills to stay ahead of the latest design trends and technological advances. We specialise in responsive website designs, using unmatched skills in the design and development of sites that can adjust automatically to various layouts and resolutions. Our responsive web design solutions facilitate effective and optimal content display across a wide range of desktop and mobile devices. We also have the capability of redesigning existing sites in order to integrate responsive design features that make them compatible with mobile devices. A website that is designed responsively has the capacity to adapt seamlessly to the screen resolution of the accessing device. 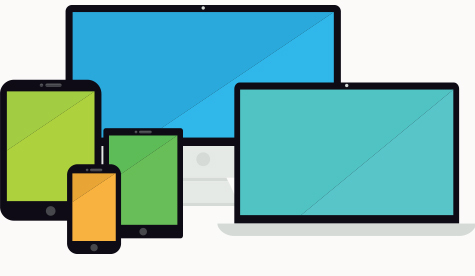 Traditionally, most sites were designed to appeal to visitors that were using devices with large screens such as desktop and laptop computers. These traditional designs were only compatible with the high resolution and large sized PC or laptop displays. When viewed on mobile devices, some parts of the site are often cut off or do not otherwise render well on these devices. 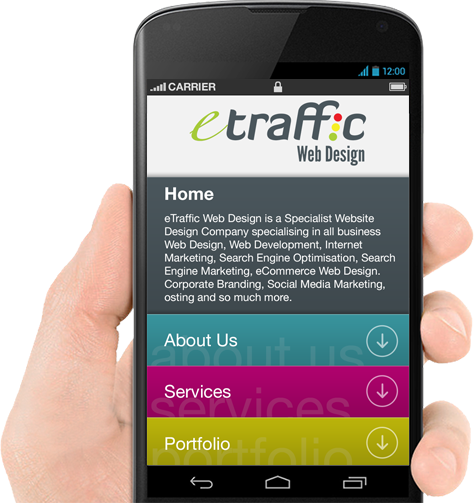 This adversely affects the mobile user’s experience and limits the usability of these sites on mobile platforms. A responsive site has the ability to detect the resolution of the device that is accessing it and display content that is designed for the corresponding resolution. Consequently, the best way to design a site that retains its usability, value, and appeal across a wide range of accessing devices is to create the site using a responsive design.